I’ll admit to being a devotee of this extremely talented graphic artist, whose sense of humour and knowledge of how to combine bright colours in the best possible way, appeals to my feeling that life should look fun. I’ve picked up an obsession for apples from Pilgrim Lee, which you’ll soon be hearing more about. I have two of her prints and love to read about her life on her stunning blog. We’ve featured her work twice before – a printable chore chart and eye-catching folk art – and now here’s more from the prolific Ms Pilgrim! 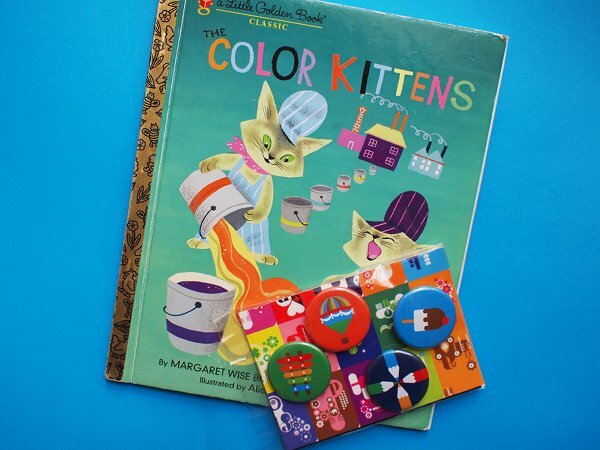 It’s a cute Kids Gift Pack for a mere US$6.70 from the Draw!Pilgrim Etsy store. 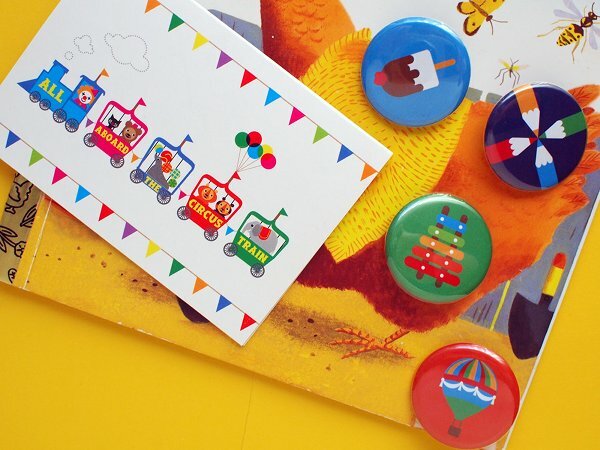 You get to choose one mini card and a four badge set for the little birthday person. The cards are blank and non-birthday specific so even if it’s not for a birthday and just for a treat you can order one! Pilgrim advises picking up a vintage Golden Book to make the perfect gift for the under five set.